Dr. Awkward is a Scrub Club Records Nerdcore rapper with several hit songs and performances at Nerdapalooza and after parties at Comic Con, Florida’s Nerd Invasion, and Texas’ Comicpalooza. In 2009, Dr. Awkward released his first solo project “Next Gen,” in which Doc proclaims that he is the future of Nerdcore Hip Hop. The EP was hailed as an instant classic, with hits like “Geekquilibrium” and “Imposter.” Dr. 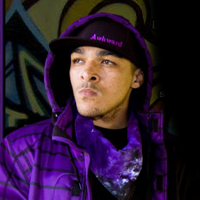 Awkward release his latest album, “Unlimited” in April 2010, which features an amazing fusion of Nerdcore, Hip Hop, and R&B.